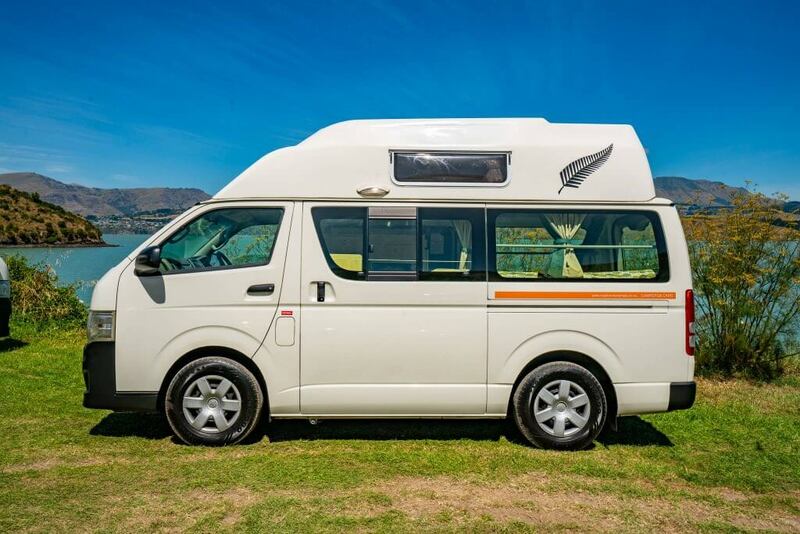 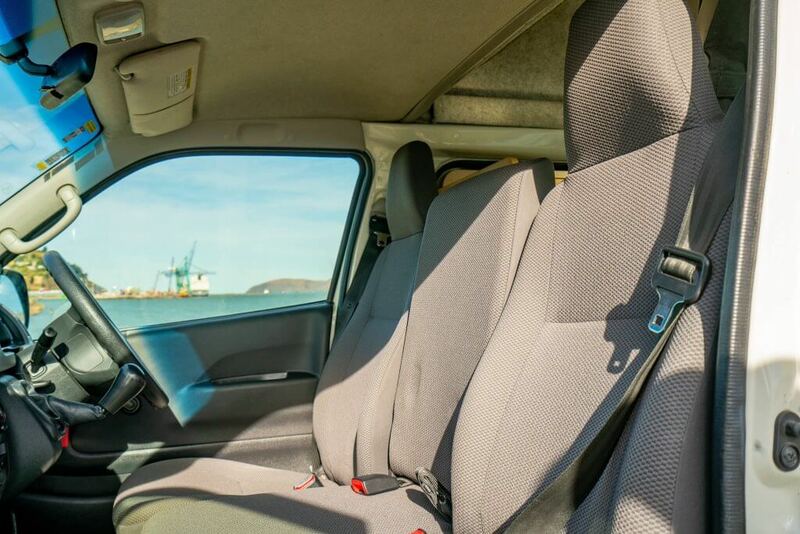 Our Queenie campervans are late model Toyota Hiaces with powerful 2.7 litre engines – they are a joy to drive and also have great fuel economy. 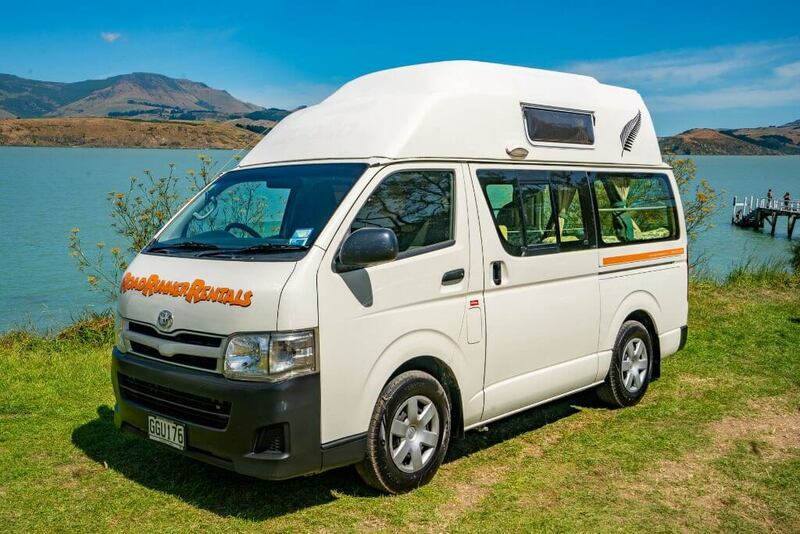 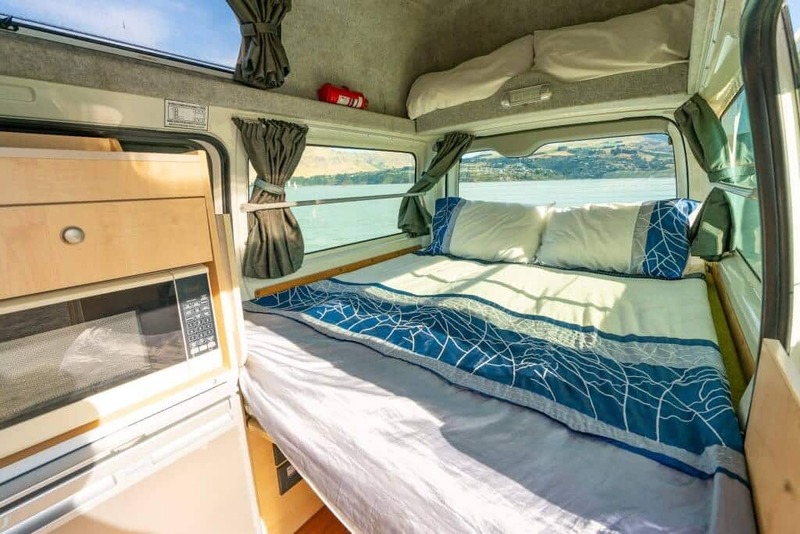 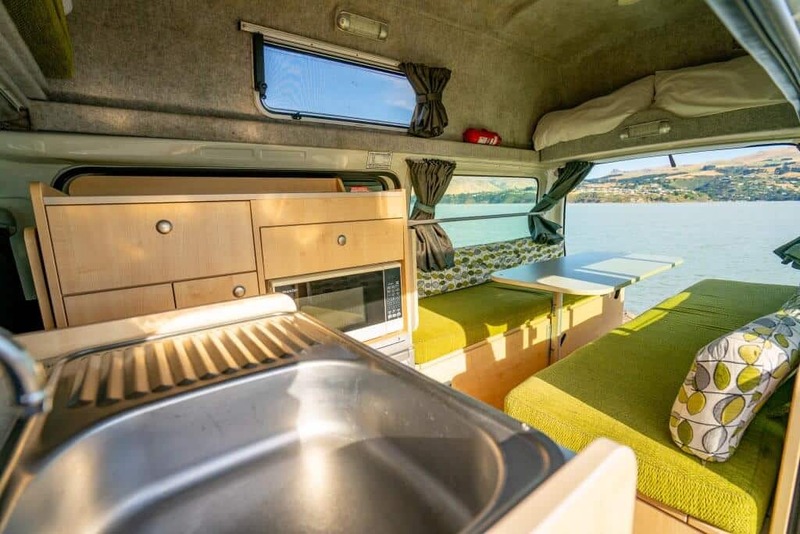 These 2-Berth campervans are beautifully presented and come well-equipped for your trip around New Zealand. 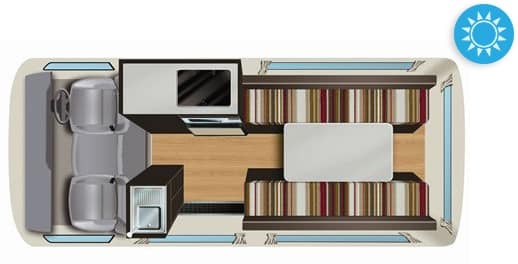 Two adults and one child can sleep comfortably in the Queenie camper and they come with everything you need for a great self-drive holiday! 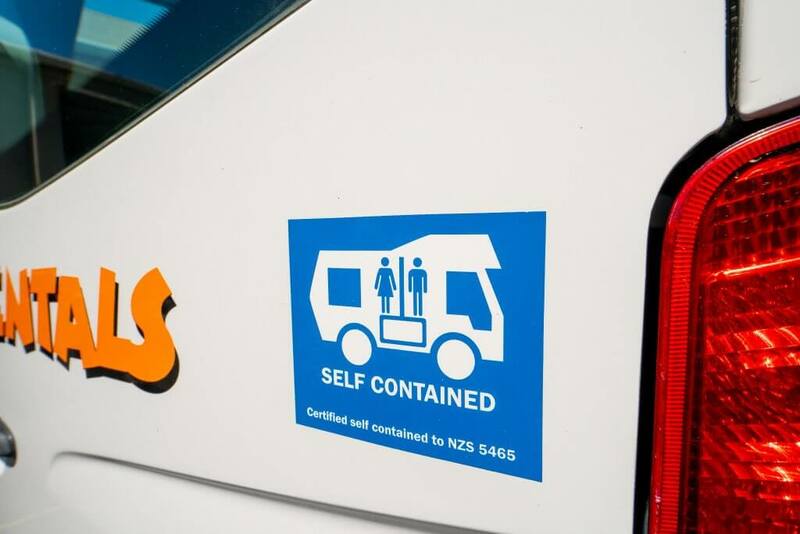 Available from our Christchurch and Auckland depots, these 2-Berth campervans are excellent for small families. 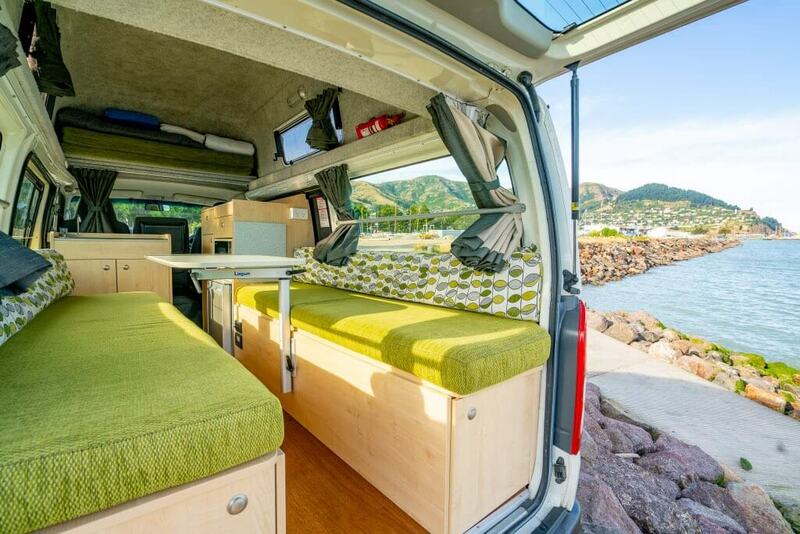 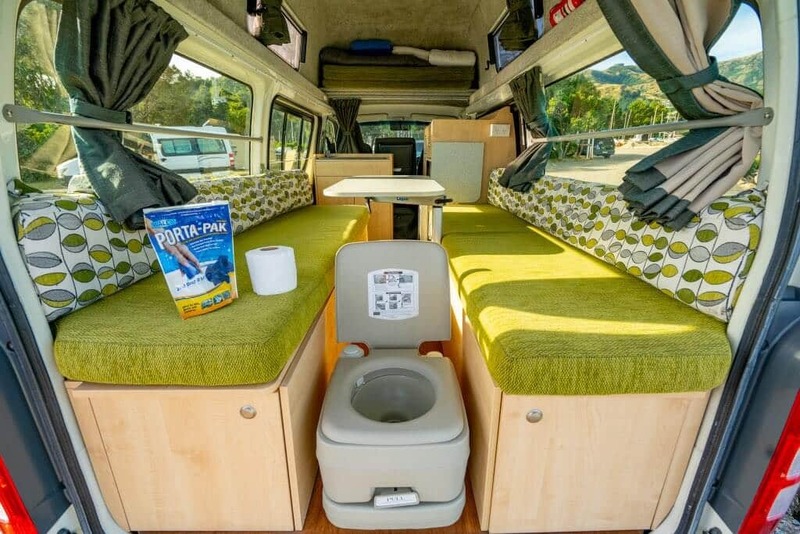 View all of the great inclusions that come with this great campervan below!